Geraldine is the wife and mother of a young family. She is a kind, generous, charitable person who wants to omit her last name from publicity to protect her private life and that of her family. Father Richard Masin, Father Michael Love, and Father Eugene Szondi have served as her spiritual directors over the years – and approve of her messages and experiences with Blessed Mary and Jesus. She also received approval and blessings from Bishop G. F. Mayne in her diocese. “I had a dream that I was with a group of people going to Lourdes, when suddenly I am lost and on my own in what appeared to be a misty moorland at nighttime – yet I can see a grotto at the top of the hill in the distance, so I make my way there. Inside a cave I see a statue of Our Lady and a kneeler in front of it. I kneel down to ask Our Lady to help me pray. As I was trying to pray, something is pulling at my left arm to distract me. Then I felt a sharp pain in my arm as if something had bitten me. Geraldine had another dream in which she saw her deceased sister dressed in black. As she ran to hug her she noted that her sister was upset with her over having had a recent and unresolved disagreement with their grandfather. Her sister urged her to “go quickly and make up with him.” Her sister was upset because Geraldine had been selfish and unkind. The next morning Geraldine told her mother and agreed to go visit grandfather on the next morning. But grandfather died from a heart attack that very night – and now Geraldine understood her sister’s urgency and why she was dressed in black. Grandfather then came to her in a few visions, upset and warning her about terrible times ahead for humanity – and angry if she did not believe him. 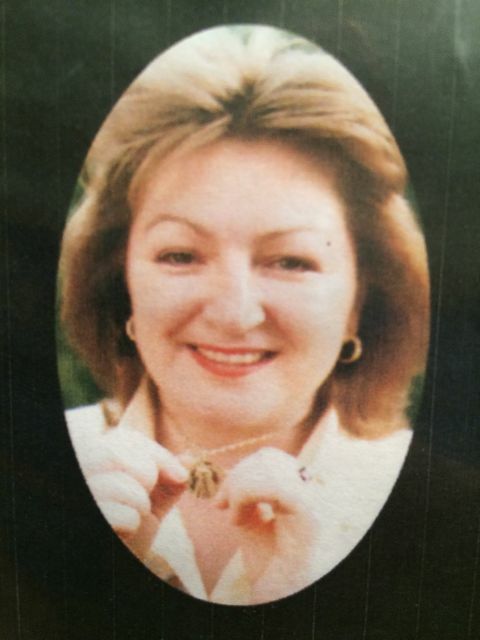 In 1986 Geraldine was expecting her fourth child and experienced a very difficult and painful pregnancy. At five months she had an accident and fractured her spine and could not walk for two months, spending weeks in the hospital. As the difficult birth approached, more pain and troubles occurred. But nothing was as horrific as the insensitive worker who was rough with her and yelled at her despite her being in excruciating pain. In desperation Geraldine offered up her pain to Jesus. 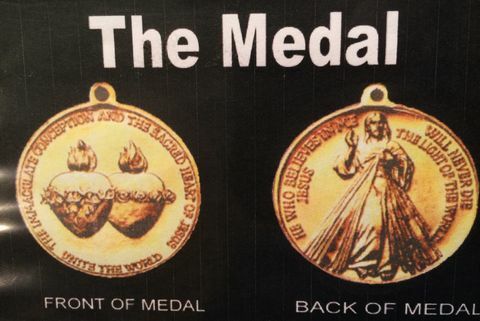 The medal requested by the Virgin Mary to be struck in Australia.